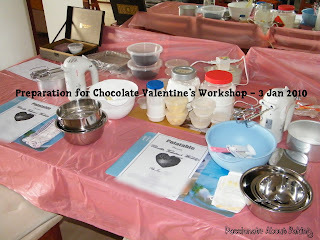 A month ago, I "advertised" on my Chocolate Valentine's Workshop. 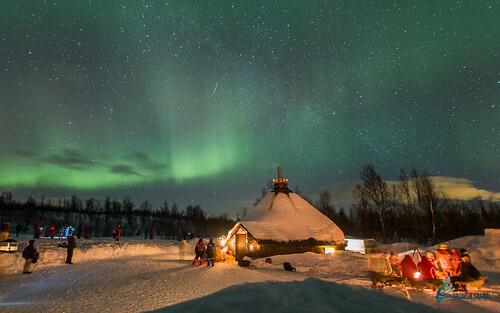 Initially, I thought I might need to cancel it as school will be starting soon and most parents are more anxious about being at home with the children and spending time with them. 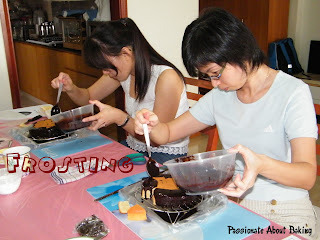 Fortunately, I didn't have to cancel as there were two ladies who were interested to attend this workshop. It is quite disappointing when I have already prepared all my materials for workshops and there were no response. Even an enquiry or two will make me excited. Anyway, today's workshop went very smoothly and well. 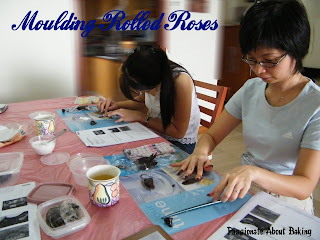 The participants have not baked before, but they were rather good in their moulded chocolate roses. 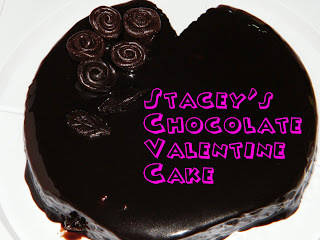 During this workshop, they were taught how to bake an Almond Pound Cake, mould chocolate roses & leaves and frost with chocolate ganache. They did all these themselves, which I'm really proud of. 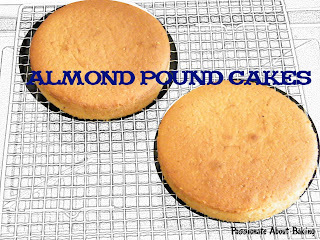 I'm sure their family members will be elated when they bring back the cake to share with them. 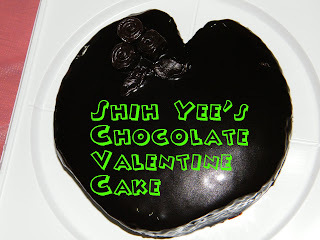 Hope they can re-create this cake during valentine's day! I admire your perserverance, and you must jia-you jia-you jia-you! Hope year 2010 brings you more classess, students, good health and joy! Hope to see more of your posts too! Happy new year! Another fantastic workshop you had! Well done! Keep going ok! You have a blessed new year! Thanks Grace! You have been very encouraging. Hope to meet up with you soon too!